To be used from 40W to 90W. With the Istick Pico S Discovery Pack, you will obtain an Electronic Cigarette with a modern design, simple to use and undoubtedly powerful. 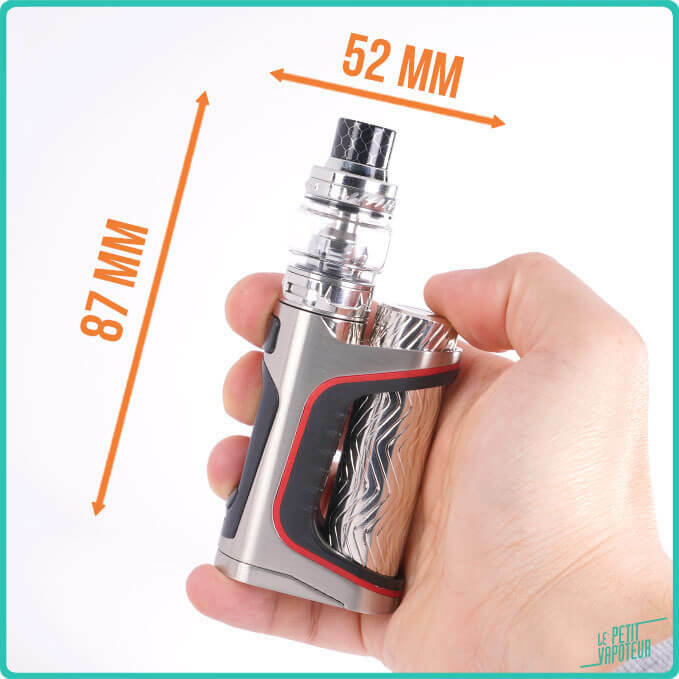 The particularity of this pack is that it offers a 18650 battery as well as the 20700 battery which is supplied with the Istick Pico S, and the Xtar MC1. You will have no problem with autonomy and you can benefit even longer with this kit. The Istick Pico S Discovery Pack is inclusive of the Sub ohm Ello Vate for a longer vape and can hold up to 6.5ml in E Liquid. With our Istick Pico Discovery Pack you will never run short of energy. This pack in effect is inclusive of a supplementary 18650 Battery as well the Charger. 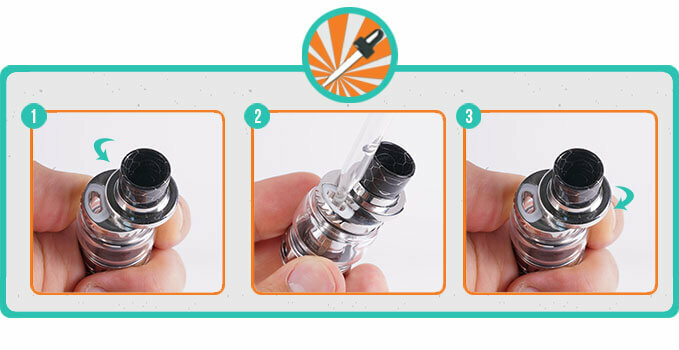 All the equipment allows you to nourish the Istick Pico S, a performant, sportive with a unique design Electronic Cigarette. 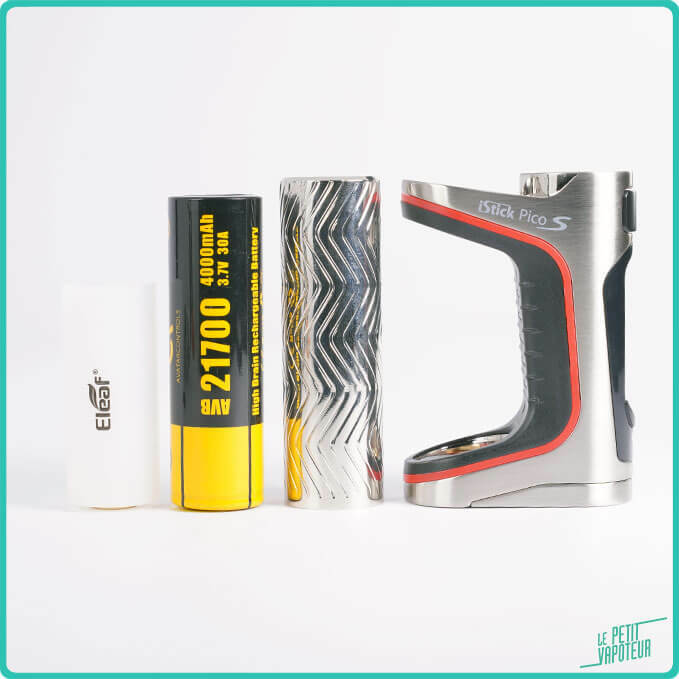 The Istick Pico S Discovery Pack first of all is composed of the Istick Pico S Box and the 21700 Avatar Battery. The mod has beautiful capacities, with an output power of 100 Watts, a revolutionary design. The Istick Pico S also has coloured LED's which are up to date. 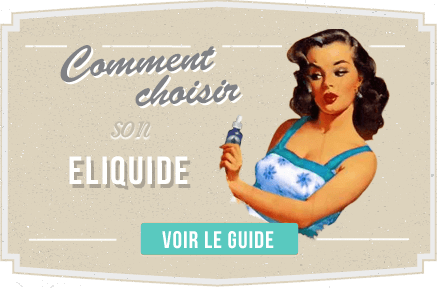 Note: Eleaf has a good idea to propose all the modes of vape of the moment: VW, Bypass, Temperature Control, Memory mode. There is something for everyone. The Ello Vate Clearomiser of the Istick Pico S Discovery Pack can hold up to 6.5ml in E Liquid with the convex tank. 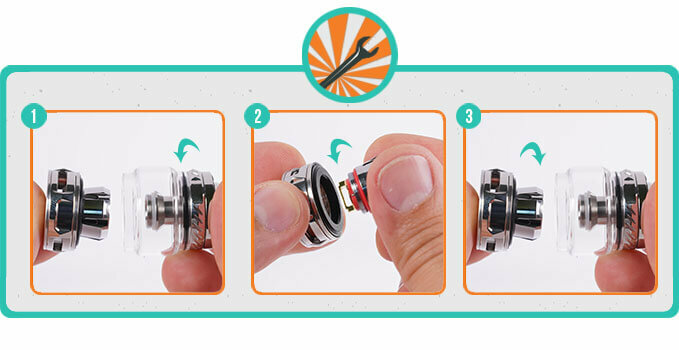 It disposes of the filling from the top with the removeable top cap. 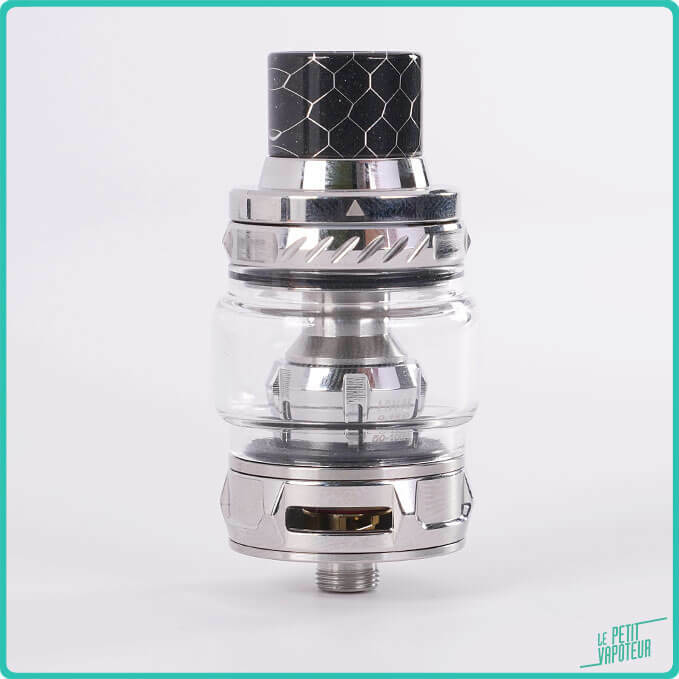 It is also equipped with a drip tip in Resin, type 810 for a good production of vapor and is in accord with the open and aired airflow. HW-N 0.20 ohm: HW-Net, resistive in Kanthal, in the form of a net or sieve. To be used from 40W to 90W. HW-M 0.15 ohm: HW Multi-holes, resistive in Kanthal with wide Mesh. To be used from 50W to 100W. The Istick Pico S Discovery is made by Eleaf. For good autonomy, the Istick Pico S Discovery Pack is also delivered with the Sony VTC6. The VTC 6 18650 3000 mAh are accumulators of great quality, designed to support low based coils, in conserving the electric stability of reduced heat. The Sony VTC6 18650 is made by Sony. To finish, the Istick Pico S Discovery Pack is inclusive of the MC1 Xtar Charger to offer even more possibilities. Practical and light, the MC1 Xtar Charger can be easily carried everywhere allowing you to recharge your batteries instantly.